Plenty of public parking available. 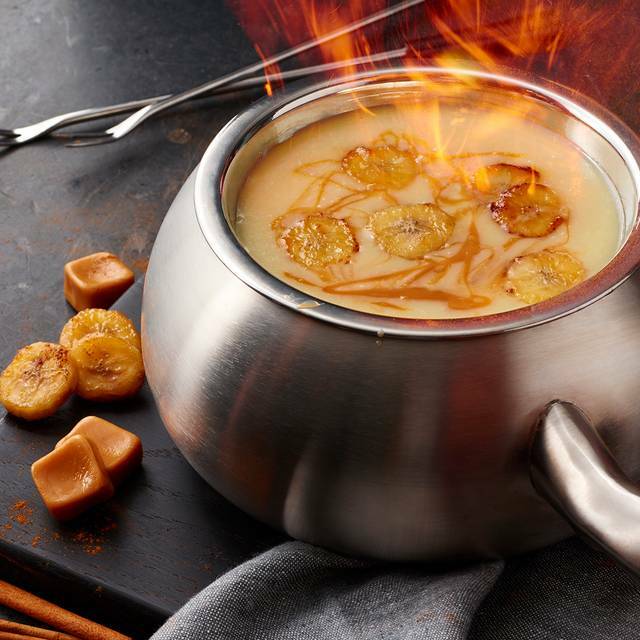 The Melting Pot Restaurant is where fun is cooked up fondue style. Whether you’re celebrating a birthday, anniversary, long overdue date night or celebrating with a group. 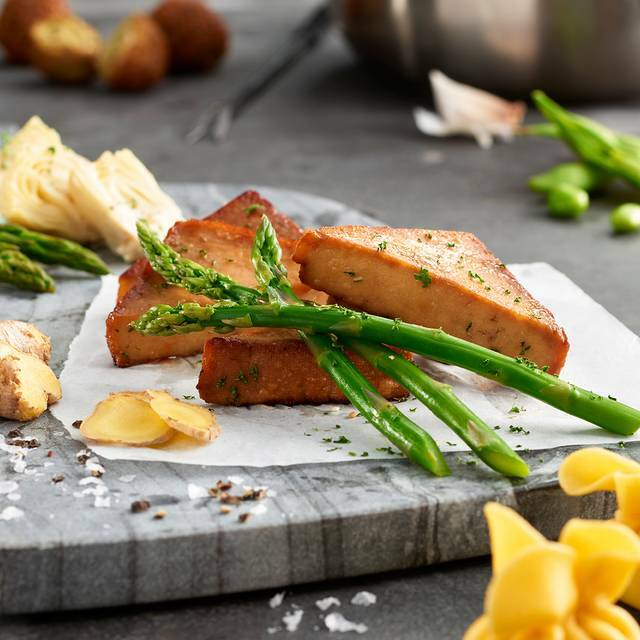 We are the premier fondue restaurant, centrally located on Westheimer, providing a casually elegant dining experience and an intimate atmosphere. 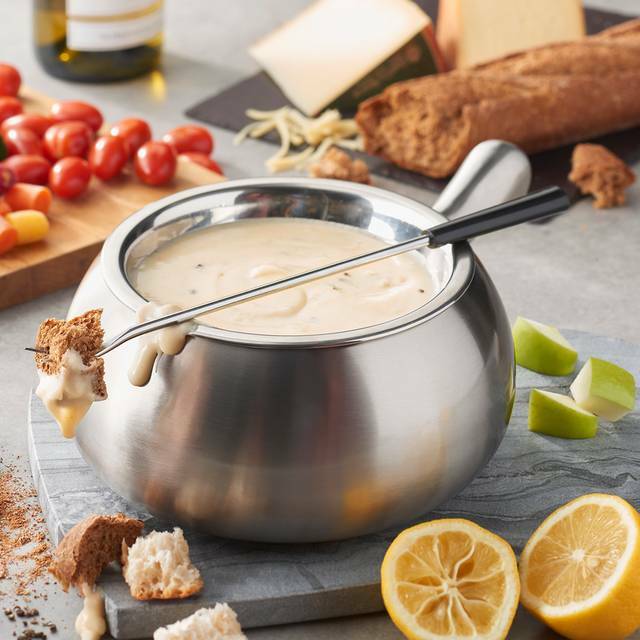 The relaxing four-course experience begins with a cheese fondue prepared table side and fresh salads while your entrée pot heats up. 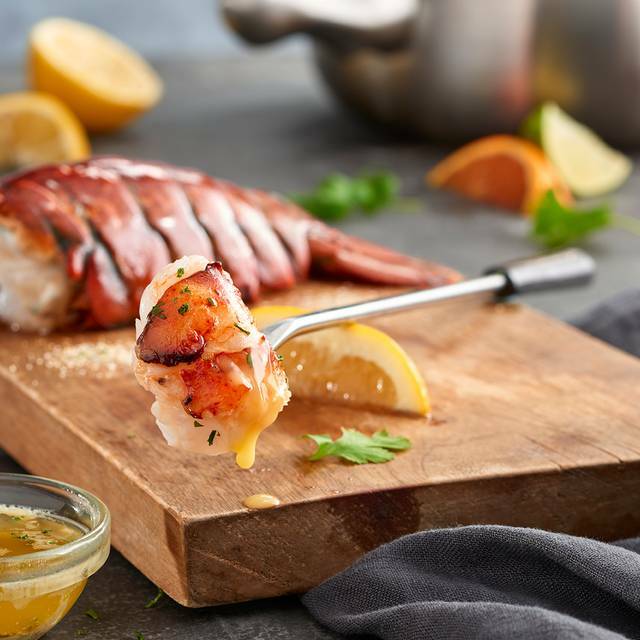 You’ll simmer a variety of meats, seafood and vegetables in the cooking style of your choice. 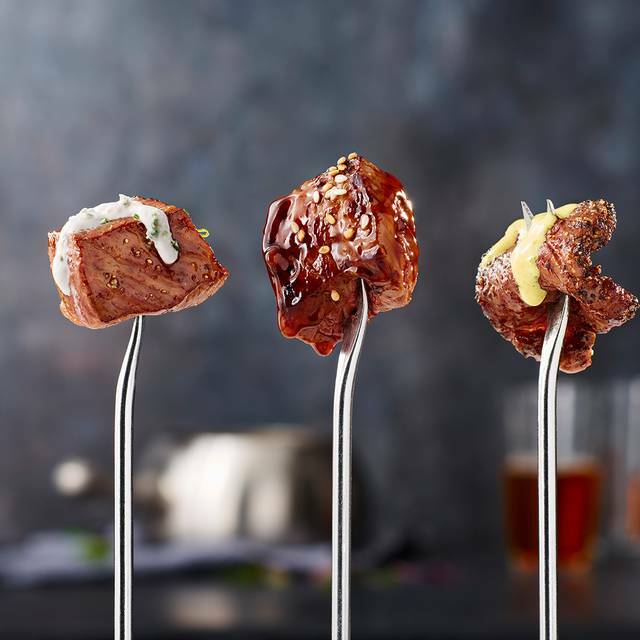 Each bite is hot, fresh and delicious and all entrées are accompanied by an array of dipping sauces. 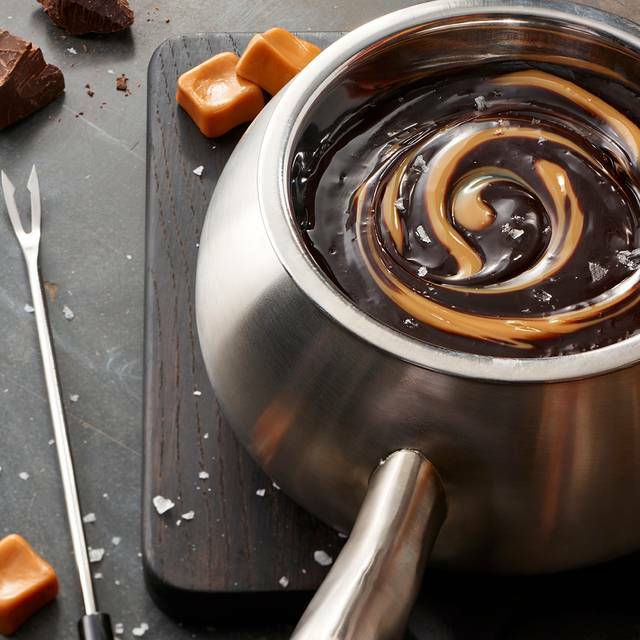 Chocolate fondue is the finale, served with decadent dippers. 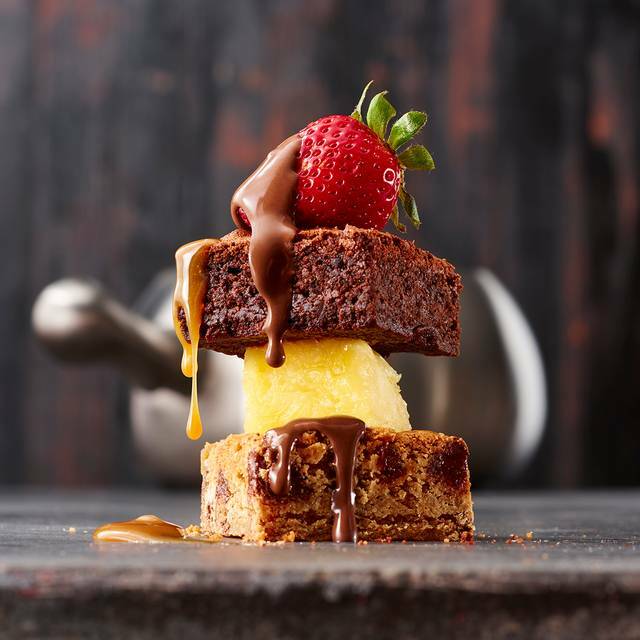 Most make reservations for the four-course dining experience but more than a few have stopped by to satisfy that cheese fondue or chocolate craving. The Melting Pot also features a great wine list, specialty cocktails and martinis. Absolutely wonderful! The food and service were amazing. Great service and lovely environment! We went for our 6th wedding anniversary and we can’t stop raving about it. We chose the lovers lane package and we were not disappointed! Highly suggest that package for an amazing experience! Great place for a special celebration. The food was delicious. The service from Christina E. was excellent. And the company was to die for! Good place. Tough to park very busy lot. Valet available?? at other nearby restaurants... I was told Romantic place but IMO not really. The booths were indeed private so no people watching but not really romantic... The place was chilly, drafty esp at the bar... Our waiter was really really good... The food was good, creative, and unusual. Ive been to MP once before but this visit was more memorable... GF birthday... The salad was really really good. The wine was below average. The main course was good. Glad they had seafood and veggie and pasta for no meat Friday... The dessert was really good too. We took some of it home. Glad I could use OT giftcard. GF enjoyed the birthday dinner. We sat in the bar side, so it was quieter than the main section of the restaurant. The service was very prompt and friendly. The drinks were very well prepared, and the food tasted very good. Very enjoyable. One of my favorite places to take time enjoying great food. I absolutely love The Melting Pot! The food is delicious and experience is one of a kind. Noel (Pronounced Nole) was totally awesome! He knows the menu and gives food recommendations. He is very funny too! Our Melting Pot Team was amazing, as always. Love the friendly atmosphere and the phenomenal food! My husband and I have been coming here for 19 years, which is unbelievably impressive for all the restaurants that have popped up in Houston. The food is fresh, the service is top notch, and the environment is intimate despite the fast paced busy nature of the place. All the meat was WAY over seasoned in Cajun spice of some sort. Could not eat easily. Dessert was good as there was no Cajun spice. 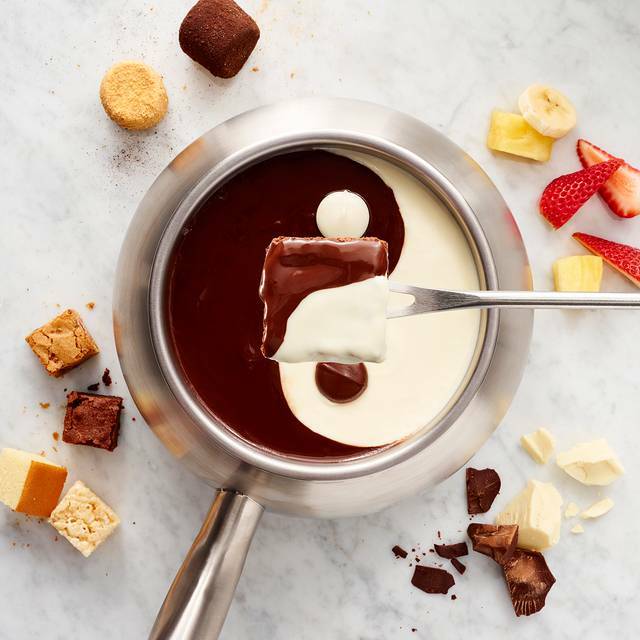 You can never go wrong at the melting pot. I love this restaurant! Always a pleasant experience when I come here. Our server was also amazing, I think his name was Jordan. Everything was just really great. Great food, great service. Doesn't matter which melting pot you go to, they are all formal and professional. Ramon our server was great! Only complain the booth we got was not so private. Traffic area since it was the first booth before the walkway, but due to Ramon’s excellent service this could be overlooked. But hope in the future reservation was made in advance to get a better and little more private area. 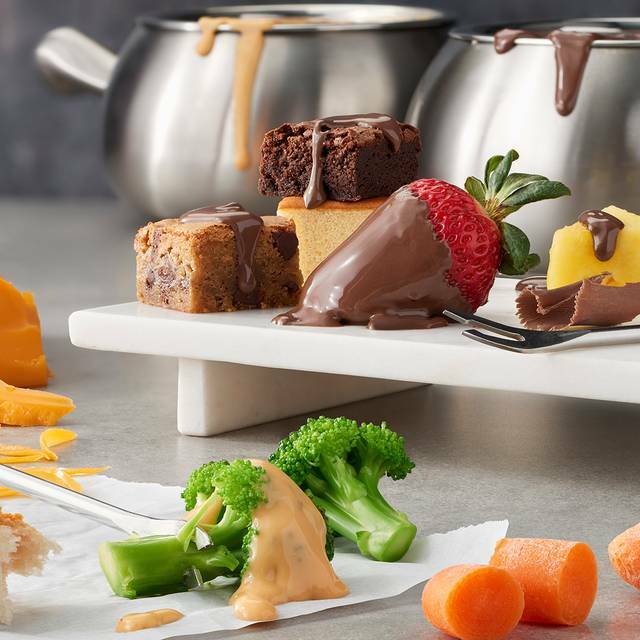 The Melting Pot is a great place to go for a nice quiet evening of wonderful food and fun dining. We like to go there when we are not in a hurry and want to have a relaxing intimate dinner. Perfect for a special occasion or celebration. It is my wife's favorite place to go when we have something special to celebrate. We love the Coq au Vin and classic cholocate fondue desert. TMP is an old favorite of mine; I love going for a meal that lends itself to conversation and an activity. My twins turned seven weeks yesterday and they asked that we go out to dinner. Okay, that didn't happen but we did bring the babies with us and TMP was able to accommodate the space needed to keep them sleeping in their car seats by opening up a section normally closed on Monday as our own private space. It was great to be able to have a night out. Our server, Mark, was super helpful and made it a great experience for my mother (who was visiting and had never previously dined at TMP). Thanks again! Completely amazing!! Our kids gave us a gift certificate for our birthdays. So we were complete newbies, to say the least. Gideon was our waitress and was a Godsend!! She helped us each step of the way. Answered any and all questions (even the silly ones). Food was amazing and the experience itself was exciting and worthwhile. Even after 30 yrs of marriage, we felt like kids!!! So enjoyable, we'll be back. Plus getting our kids and their spouses gift certificates for themselves!!! Excellent service and comfortable setting. The food was great! My 3 children ages 9-12 and I enjoyed a fantastic meal and dessert. The options are great and food was fun and enjoyable. Our first visit to this location and it didn’t disappoint! Jess - Thank you for dipping into the Melting Pot. Glad you had a five star experience and really appreciative for the nice comment . Let's fondue again soon. This was our first time to ever go to the Melting Pot. We would definitely recommend it to friends if they have not been. I wish there would have been a way to have more than 1 cheese to try whenever we were eating the appetizers. Ours was delicious but afterwards we had wished we had tried something that was less like a queso dip. Jacob was the best server! We love coming here and have been for years, but Jacob made this one of our favorite visits. Can’t wait to come back soon. Darren - Thank you for dipping into The Melting Pot for another visit. We will pass on the praise for Jacob's service. We appreciate your taking time to share it with fellow OpenTable users. We look forward to your next visit. Our waitress was constantly rushing to the point she was very messy. Examples: The pan was no where warm, not even to the touch, when she brought out the cheese. She kept stirring the oil and cheese so roughly it kept splashing on my husband and me. After about 5 minutes, the pan finally started to heat up. Before we had 5 bites, we had our salads served to us. No time to enjoy our cheese. A few moments later, we received our meat. We did not have a pan for our meat yet and she was dropping off the menu for the deserts. The waitress dropped the pan off about 3 minutes later and before turning the pan on, she ran away. We did not see here for about 10 minutes then a very nice manager walked by and turned the pan on for us and checked on us every few minutes. My husband and I have been to the Melting pot many times (about twice a month) and until this past Saturday we never felt like we were a burden. It will be a very long time before we go back to the Melting pot. Always a fun experience with very tasty and unique food. The atmosphere was amazing for my anniversary and our server Greg was jsut the best. Since it was our first time there he gave us some recommendations and made sure we had the best experience. As always, loved our experience!! We had never been to this location; however, it did not disappoint!!!! Amazing service, delicious food, and great ambiance. What a fun evening with the children. Mmmm the cheese with the veggies and bread was divine. The dark and milk chocolate was decadent. Really loved the waffle pieces, bananas and berries. Nice time during our spring break staycation.